On her fitness journey, Alice discovered that exercise can be enjoyable and totally accessible. In Everyday Fitness, she shares her tips and expertise to get you moving and help you achieve amazing results. Whatever’s motivating you to seek change, you’ll be feeling proud of how you look and feel in no time. What’s more, you’ll soon realise that exercise can be so effortlessly included in your daily routine that it becomes second nature. Using clear, simple instructions, Alice covers everything you’ll need to achieve your fitness goals. She explains the basic facts about exercise; the best pre- and post-workout foods; how to maintain motivation and the benefits of proper warm-up routines. You’ll also find an array of her trademark, easy-to-follow HIIT workouts, to be done at the gym or in the comfort of your own home. 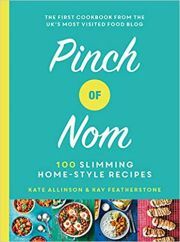 This book also includes 20 recipes for power snacks and meal ideas to compliment your training. Exercise doesn’t have to be a chore and with Alice’s guidance and the right balance of diet and wellness, you’ll be well on your way to achieving long-term, sustainable health and happiness.